Suzhou financial town is a new financial services sector cluster development zone in Suzhou New District (SND). It was constructed by Taihu Jingu Construction and Development Company, affiliated with SND Ventures Group. Located in the Suzhou science and technology town, Suzhou financial town faces Taihu Lake in the west and is surrounded by Jingfeng, Yupin, Fenghuang and two other mountains. With a total planned area of about four square kilometers, the town is building two comprehensive systems for financial services and science and technology innovation. The financial town has a core intention of becoming a highland of agglomerated private equity funds. Based on Suzhou’s economic industrial base, ecological and cultural tourism resources and advantageous location in the Yangtze River Delta, and allowing full play to Taihu Jingu’s advantage as the first NEEQ (the China's National Equities Exchange and Quotation, also known as the "new third board”) listed agency in the country, it plans to develop into a characteristic town with features stemming from the NEEQ listing and the scientific financial industry. Suzhou financial town mainly welcomes well-known private equity firms, industrial investment institutions and traditional credit insurance financial institutions. It is also home to service providers for green offices, talent residences and ecological tourism. The financial town is seeking four kinds of high-end talents: technical experts, young engineers, young entrepreneurs, and mature players in the service industry from home and abroad. And it will engage in “two plus X” industries such as new generation information technology, biomedical devices and borderless innovation. 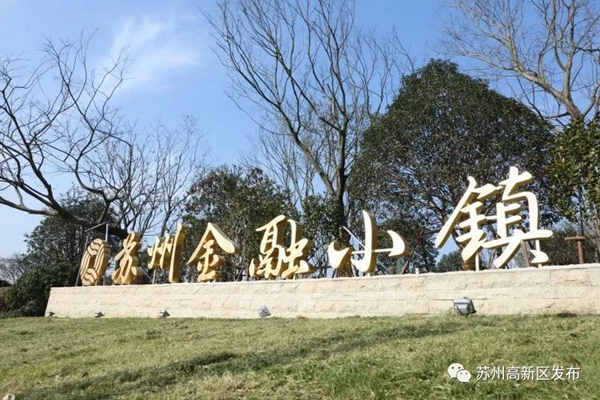 The financial town plans to build five functional areas, including a financial sailing town, a meeting center, an information intelligence valley, a biomedical park and an ecological complex community.